A third person shooter that emphasizes stealth and tactical thinking, Hitman: Codename 47 is a mixture of action and puzzle gaming. You play the mysterious, nameless Hitman, whose perfectly lean body and UPC-stamped head indicate a somewhat unnatural childhood. Waking up one day in a cell, you escape your imprisionment and are shortly contacted by the Agency, an organization as mysterious as yourself. Offering a job in what you do best (delivering death), you embark on a career as an assassin. But the shadow of your past creeps up on you...and the last thing an assassin needs is something creeping on him. A 3-D game done nearly entirely from the third person (first person is used for aiming certain weapons), Hitman may initially draw comparisons to the Tomb Raider series. Although you can play in such a mode, there is also another mode where the mouse is more free to roam. Reflections, muzzle flashes, bodies that obey physics and slump and fall when necessary, and impressive shadows attempt to make the world feel realistic. A wide array of weaponry are available, from knives and piano wire to silenced pistols to sub-machine guns and even heavy machine guns. Although such weapons are available, stealth will be your friend. The A.I. reacts to shouts, gunfire, and other odd occurences, sometimes even getting suspicious if you're running around and so silence and sneakiness are your two best allies. Take down lone guards, hide their bodies and steal their uniforms. Then move in closer to your kill. 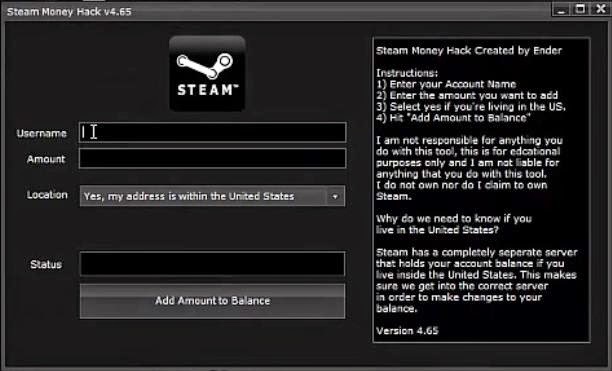 Multiple methods of completing most of the levels are available, although one or two are the most efficient and therefore earn you the most money. Hitman 2: Silent Assassin is the sequel begins in a Sicilian monastery. Hitman tries to distance himself from his violent past, but he fails when discovered by a Russian crime lord and tricked into returning to his trade. But soon he discovers that he has been manipulated and is now a target himself - of a highly trained ex-Spetsnaz assassin. So you as Hitman have to accomplish missions by eliminating primary targets in multiple play styles, carrying weapons and equipment from mission to mission. 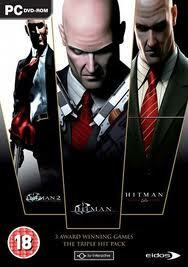 Hitman: Contracts is the third game in the Hitman series by Eidos Interactive and Io Interactive. You again take on the role of 47, the famous hitman of the past two games. The story opens with 47 being shot, and he is lying on the floor, dying. The whole game takes place in "flashbacks", and the missions you complete are missions that 47 has "already done", and he is reminsicing about them on his death bed. The beginning level opens up in the insane asylum where you ended the first game. People who finished the first game will immediately recognize it, but you do not need any past experience to enjoy the game or story. To complete your missions, 47 has access to a large variety of weapons. You've got pistols, both regular and silenced, shotguns, assault rifles, sniper rifles, and more. You will be tasked with killing various targets or completing objectives, and you have a variety of ways to do so. For example, you come across your target in a mess hall, with a guard nearby. Do you kill the target, then take on the guard and others who come after you? Do you run to the kitchen, put laxative into his soup, and wait to kill him when he runs to the bathroom? Or do you get a sniper rifle, climb up the watchtower at the other end, and shoot him through a window? The choice is yours. Hitman can be played as stealthily or as aggressively as you want. The game awards sneaky players with the "Silent Assassin" ranking, which gives you a special weapon upon completion. To do this, you must not fire your weapon at anybody except the target, and even then, you can only kill the target with one shot. You cannot kill anybody else, unless they are specific targets. Hitman: Contracts rewards those who are up to the challenge.